Gonzalo Higuain insists Maurizio Sarri will get the best out of him at Chelsea – just as he did at Napoli. 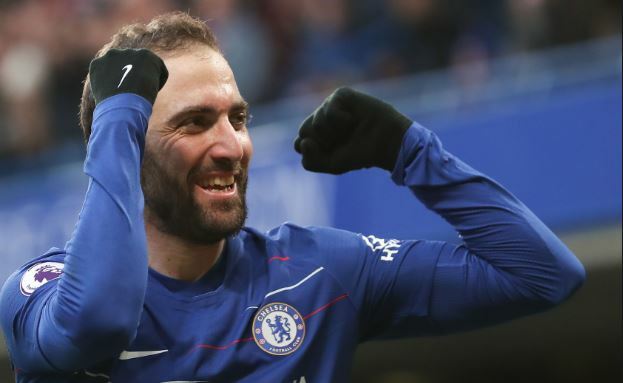 Higuain moved to Stamford Bridge on an initial six-month loan in January and hit the ground running with two emphatic strikes in Chelsea’s 5-0 thrashing of Huddersfield. The Argentine enjoyed the highest goalscoring return of his career during Sarri’s tenure at Napoli, finding the back of the net on 38 occasions in 2015/16. “He is the coach that has got the best out of me,” the 31-year-old said. “I know him well, he knows me well.